Pennsylvania Sen. Bob Casey Jr., an anti-abortion Democrat who campaigned vigorously for Obama, has received more mail on abortion than on any other issue in 2009. --The Susan B. Anthony List says its supporters sent more anti-abortion-related letters, e-mails and faxes to Obama and lawmakers in the first quarter alone than during each of the last two years. --The American Life League reported a 30 percent uptick in donations over last year. 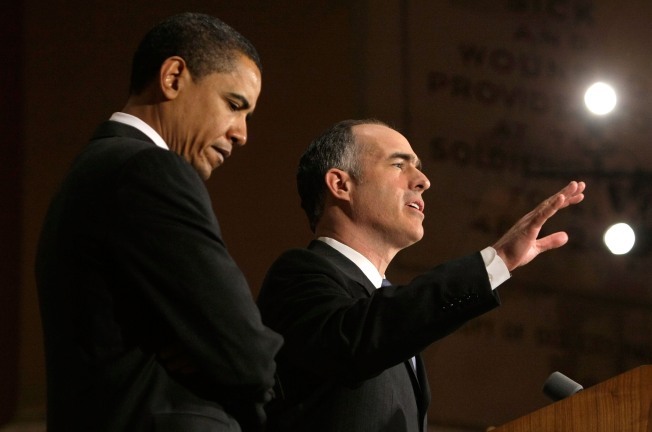 --Pennsylvania Sen. Bob Casey Jr., an anti-abortion Democrat who campaigned vigorously for Obama, has received more mail on abortion than on any other issue in 2009, spokesman Larry Smar said. --More than 261,000 people have signed an online petition calling on Notre Dame to withdraw its invitation for Obama to speak at the Catholic university’s May 17 commencement. The petition says Obama has carried out “some of the most anti-life actions of any American president," including expanding taxpayer-funded research on embryonic stem cells. --And Americans United for Life plans to expand its plans to expand its staff in Washington and, after the post-election crash, recently upgraded its computer system to handle the bump in online activism. 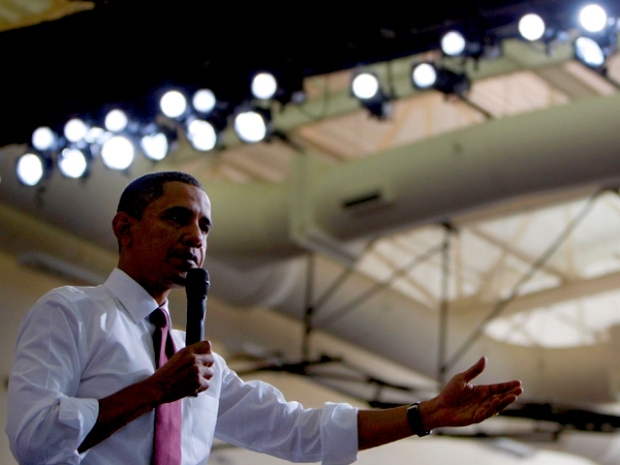 It’s no surprise that Obama supports abortion rights. What’s been surprising to these groups is a quick succession of policy and personnel moves by Obama as president – moves they say belie the words of Candidate Obama, who pledged to change the national conversation about abortion. “President Obama is losing favor with many who might have supported him at first but have become very disturbed with his actions on pro-life issues,” said the Rev. Frank S. Page, a member of the president’s Council on Faith-Based and Neighborhood Partnerships and immediate past president of the Southern Baptist Convention. “Some of us have been disturbed with the rapid pace he has moved to dismantle some of the few protections that remain for the unborn. “The verbalization that he wishes to find common ground – we are just not seeing that,” Page said. "I am seeing an increase in activity amongst groups that it is time to make the decision makers know what we feel." The series of decisions started with Obama’s move soon after taking office to lift federal funding restrictions on overseas family planning groups. Later, he moved to repeal Bush-era conscience protections for medical professionals. And his stem-cell decision angered groups that consider it tantamount to ending a human life, because the embryos must be destroyed to retrieve the cells. But his personnel moves also have caused alarm. Health and Human Services nominee Kathleen Sebelius fought attempts to dial back abortion rights as Kansas governor. Obama’s communications director Ellen Moran previously ran EMILY’s List, which backed women candidates who supported abortion rights. Obama’s pick to run the powerful Office of Legal Counsel inside the Justice Department, Dawn Johnsen, was previously legal director for the National Abortion and Reproductive Rights Action League in the late 1980s and early 1990s. The White House took steps earlier this month to shift the narrative. Obama’s chief domestic policy adviser, Melody Barnes, assembled a conference call to kick off its abortion reduction initiative, asking for examples of successful local programs and announcing plans to hold a series of meetings on the issue. Obama also has appointed at least four religious leaders to the Council on Faith and Neighborhood Partnerships who oppose abortion. These steps haven't mollified the right, where the intensity is strongest. But even some moderates, who have been far less critical of Obama, acknowledge concern in their ranks. Stephen Schneck, a Catholic University political science professor, took issue with the way Obama handled the stem-cell announcement, saying it lacked sufficient acknowledgement of the moral complexities of the research. Obama should have moved earlier on his “common ground” initiatives as a way to build trust, Schneck said in an interview. “From the pro-life side, even among those with a fondness for Obama, it would have been nice to see some frontloading,” Schneck said. To be sure, anti-abortion voters were never going to support Obama wholeheartedly, but because he worked hard during the campaign not to play up his differences with them, any signs that they are mobilized could cause him trouble down the road. Obama won the Catholic vote in November, and did better among Protestants than 2004 Democratic nominee John Kerry. In a poll released last week, Obama’s disapproval ratings among Catholic and Protestant voters rose between February and April, but it was consistent with an increase in dissatisfaction among all voters. The fluctuation among white evangelicals was more severe, according to the survey by the Pew Center for the People and the Press. A 31 percent disapproval rating in February jumped to 47 percent in April, making it one of the steeper spikes among demographic groups. Despite his criticism, Page, the former Southern Baptist Convention president, said the White House remains open to listening. He pressed aides last week about the conscience regulation, and “felt a slight bit of encouragement” that doctors who do not believe in abortions will be protected, Page said. And some moderate anti-abortion advocates stand by Obama. Catholics United and three other groups started an online petition in support of Obama at Notre Dame that already has received more than 33,100 signatures. Douglas Kmiec, a former legal counsel to Ronald Reagan and George H.W. Bush who crafted the Catholic case for Obama in 2008, echoed the sentiments of progressives last month while defending his continued support for the president. But anti-abortion activists say their e-mail lists, grassroots organization and online traffic show something is happening.